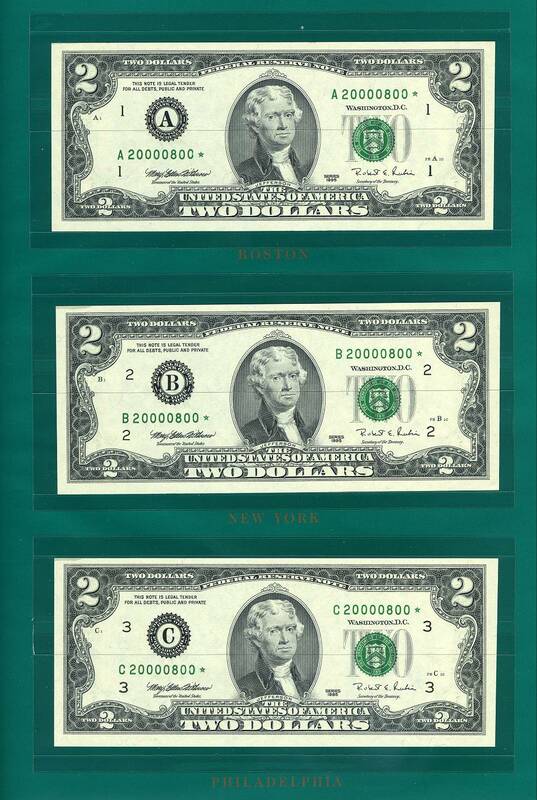 This product consists of Series 1995 $2 notes, one from each of the 12 Federal Reserve Banks with matched serial numbers. 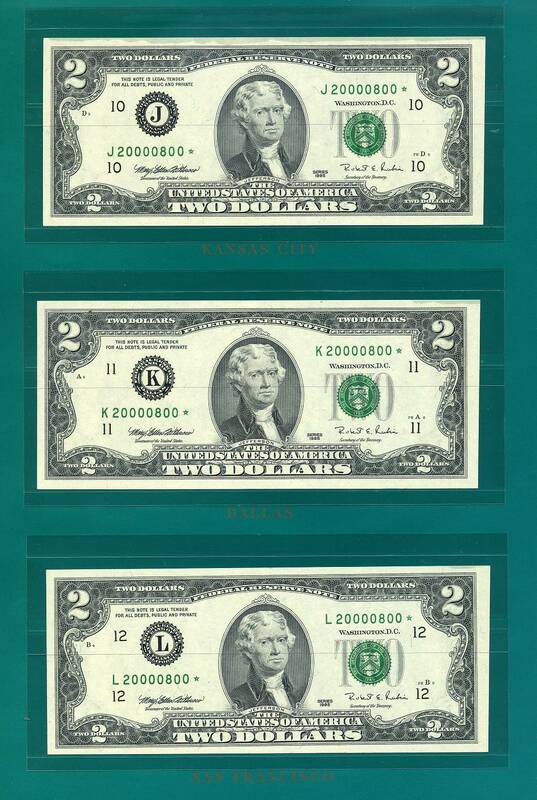 In celebration of the New Millennium, each note begins with serial number 2000. The Federal Reserve Set is presented in a professionally bound book, and each note is protected with acid-free polymer sleeves. 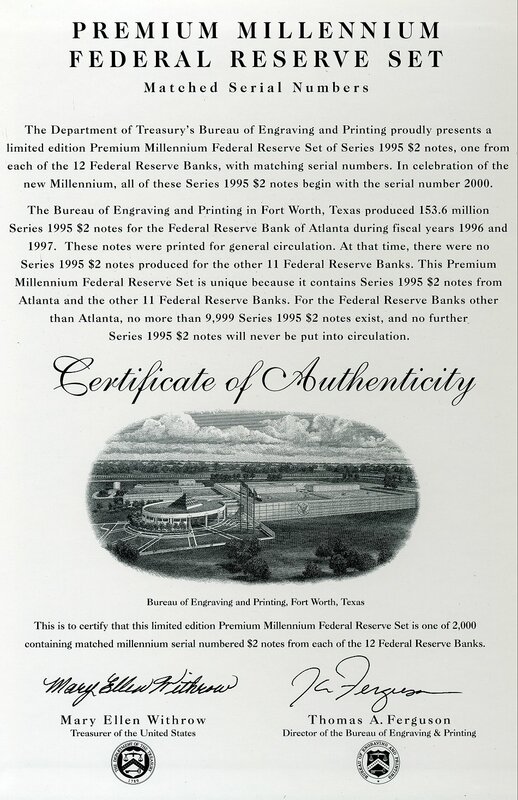 A limited edition of 2,000 Premium Millennium Federal Reserve Sets of Series 1995 $2 notes. 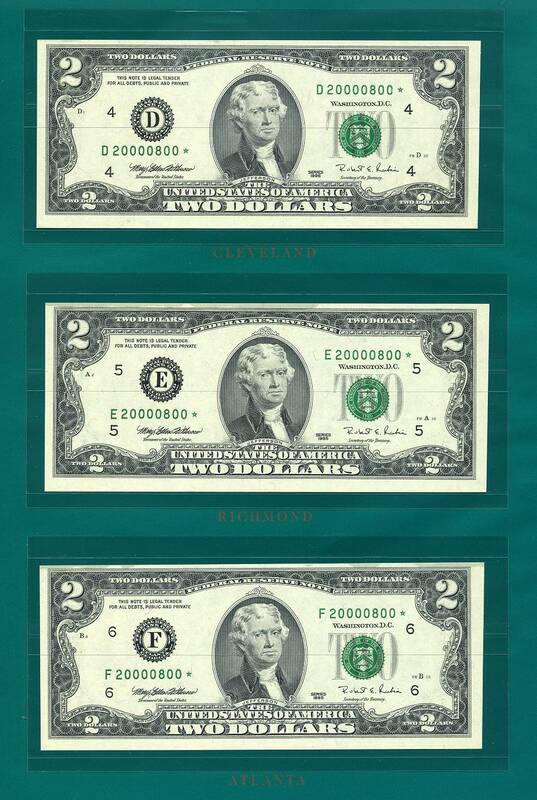 Matched serial number set of Series 1995 $2 notes from each of the 12 Federal Reserve Banks. 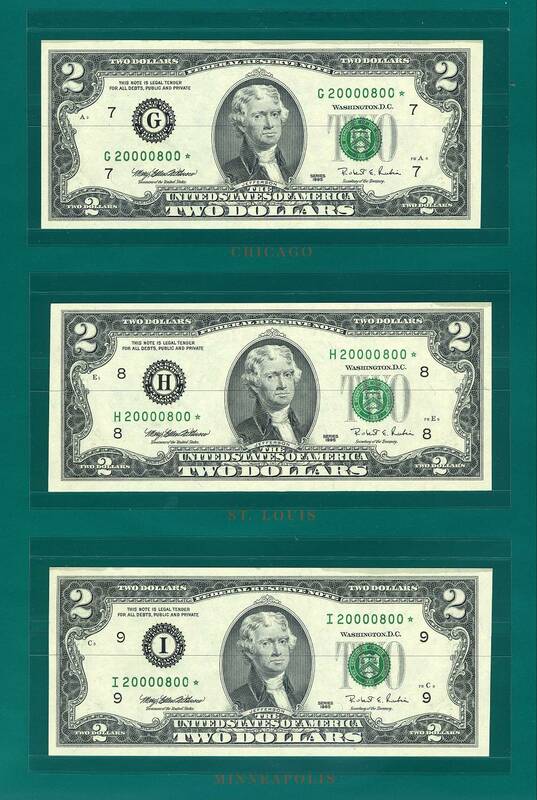 Each serial number begins with the number 2000 and ends with a star suffix. Certificate of Authenticity with the signatures of the Treasurer of the United States and the Director of the BEP. This Set is by far one of the nicest I have had to offer, Low Fancy Serial Number 800, like all of these sets this one has some very minor oil/glue staining on a few of the margins.